Green’s price tag may be as tricky as any player hitting the market this offseason. Some are full-on believers in his value on the court and what he brings all-around. Defensive Player of the Year candidate, rapidly improving offensive game (particularly his outside shooting), and just a great team guy and young leader. But then there’s plenty that wonder if he wasn’t playing alongside the likes of Stephen Curry and Klay Thompson, would he be this good? Would he receive this much notoriety? I’m all-in on Draymond. I love his game. The price tag may be a bit high. I prefer to start year-one in the $12 million range. But sometimes a player’s impact cannot be judge purely on numbers. Although Green’s stats are pretty impressive (11.7 points, 8.2 rebounds, 3.6 assists, 1.7 steals, 1.3 blocks), they’re not overwhelming, so some may hesitate with a high price tag. I understand how great Stephen Curry is, and how good Klay is at the two, but Green deserves every bit of credit for the Warriors incredible start. His versatility offensively and defensively allows Golden State so much flexibility with their lineups. 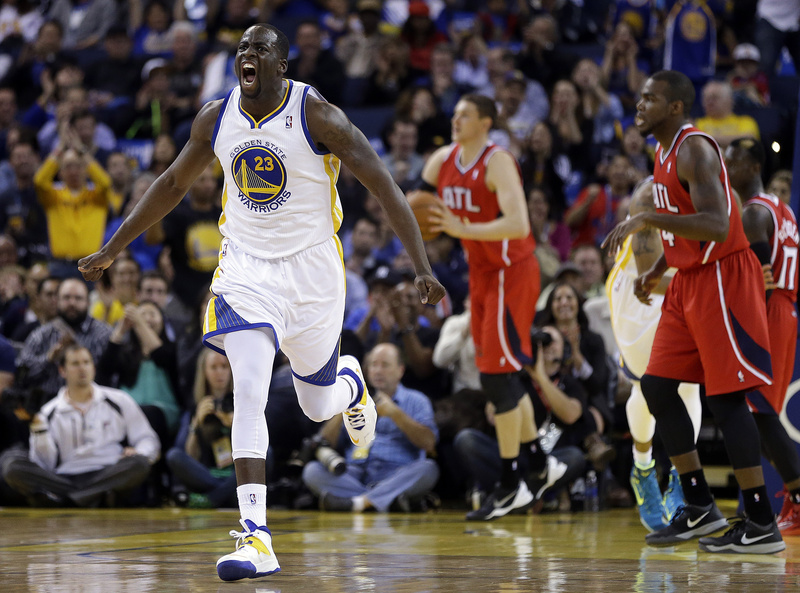 I’m with Mychal Thompson, match any offer sheet Draymond signs. He’s a main part of your nucleus going forward. Green, Klay and Steph are your “big 3” for the foreseeable future. Nothing wrong with that trio.